The director, Katsuhiro Otomo, is best known for his cyberpunk directorial debut Akira in 1988. I have a great respect for graphic artists and animators, and the creators of this film lend all of the attention to detail and breath-taking beauty to the Victorian era as you could hope for. The settings are primarily the Crystal Palace of the Great Exhibition in London and inside an enormous “steam castle” and they have been rendered with incredible detail. Otomo takes a few liberties with those pesky historical facts, but you can’t go letting the facts get in the way of a good story 🙂 For instance, Steamboy takes place in 1866, but the Great Exhibition took place in 1851. Likewise you get to see the Tower Bridge totally destroyed, but it was not built until 1894. I recommend you just chalk it up to being an alternative Victorian era and enjoy the ride. The letter from Grandpa Steam tells Ray to get the steam ball to another inventor, Robert Stephenson. By happy coincidence, Stephenson was on his way to see Ray’s grandfather so he was on the train Ray uses to escape the agents of the O’Hara Foundation. Or, at least that is what they think. But, as the train pulls into the station in London a zeppelin descends and the henchmen use a huge metal arm to capture Ray and take the steam ball to their headquarters at the Crystal Palace. 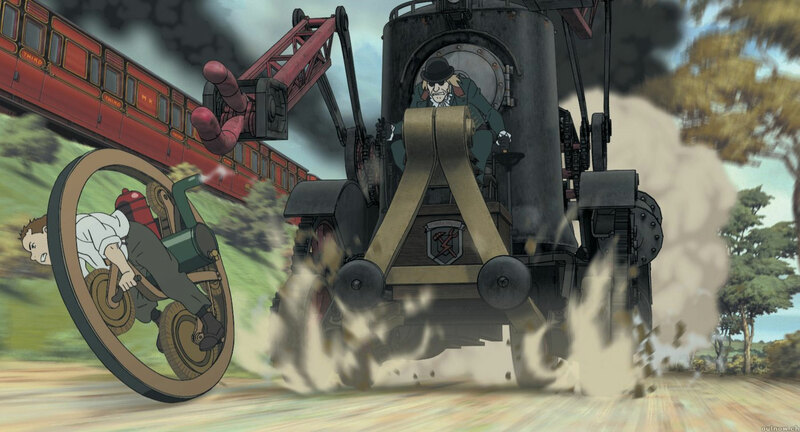 When Ray arrives he finds out that his grandfather lied and his father is still alive and the steam ball is an integral part of a colossal steam-powered castle that is hidden within the walls of the Palace itself. For a while, Ray works side by side with his father and meets Scarlett, the incredibly spoiled granddaughter of the O’Hara Foundation’s found. 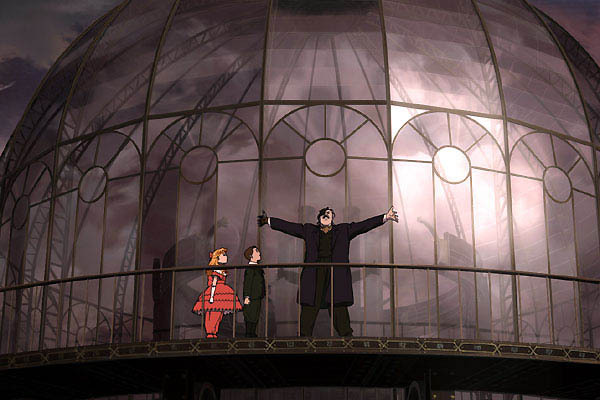 Unbeknownst to Ray, his grandfather is being held prisoner inside the steam castle, but he manages to escape. Ray finds him attempting to sabotage the steam castle because he knows its true and nefarious purpose. Ray has to decide where his loyalties lie and whether he is will to be just another cog in his father’s machine. In case you couldn’t tell, I loved this movie. 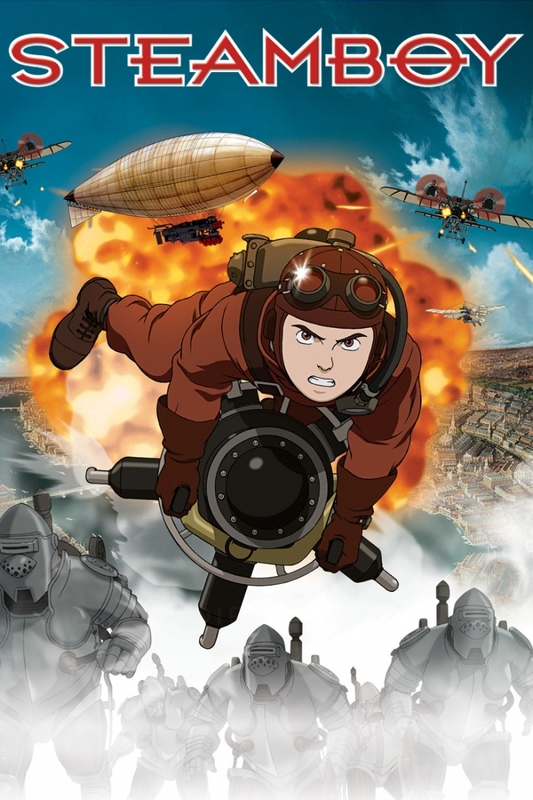 And don’t give me any of that “I don’t DO anime” or “cartoons are for kids,” because this film can totally stand up against any Hollywood blockbuster simply because it is animated. 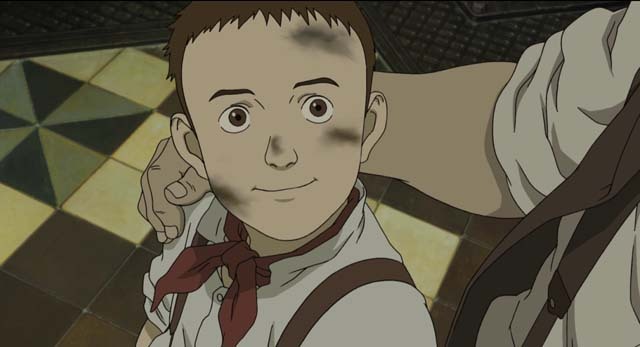 Illustrators and animators have the freedom to make anything they can imagine actually appear, and the massive scale of this movie would hardly be possible any other way. And never fear, just because it is a Japanese movie doesn’t mean you are doomed to subtitles. Just make sure to change the language setting on the DVD and you can watch the whole thing dubbed in English. This entry was posted on February 19, 2014 by Phoebe Darqueling. 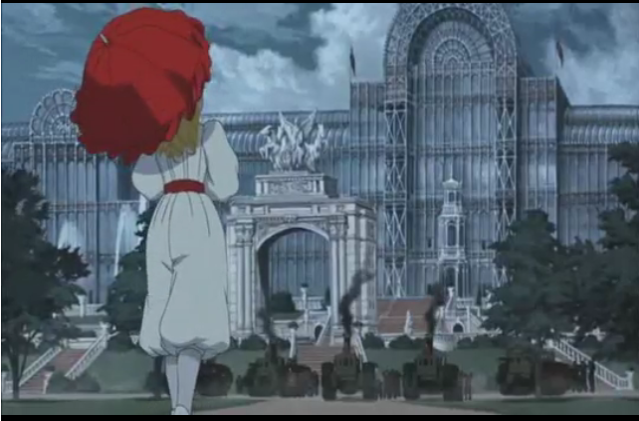 It was filed under Movies and Television and was tagged with 1851, Crystal Palace, Great Exhibition, Katsuhiro Otomo, London, O'Hara Foundation, Ray Steam, steam punk, Steamboy, Steampunk, steampunk blog, steampunk manga, steampunk movie, Victorian era.